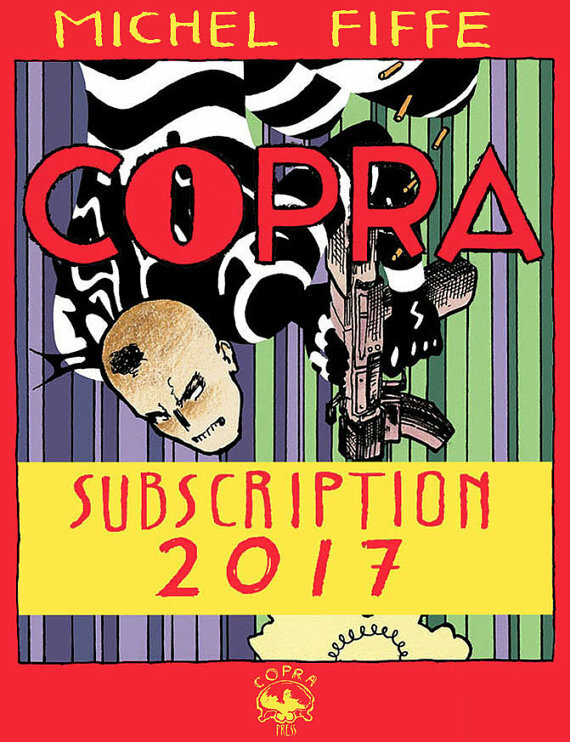 The final three installments in the Copra Versus miniseries, which spotlights Copra villains. These will include Los Asesinos (from Copra #19), the Ochizon horsemen (from #11 and 12), and the Vitas crew (from #1). “This sub is perfect for both you and your friends, new readers and dedicated collectors, revenge enthusiasts and lovers of psychedelic bloodshed,” Fiffe says on his Etsy site. If you haven’t checked out this raw, imaginative tribute to the 1980s Suicide Squad, you can read the first issue for free on Fiffe’s website.